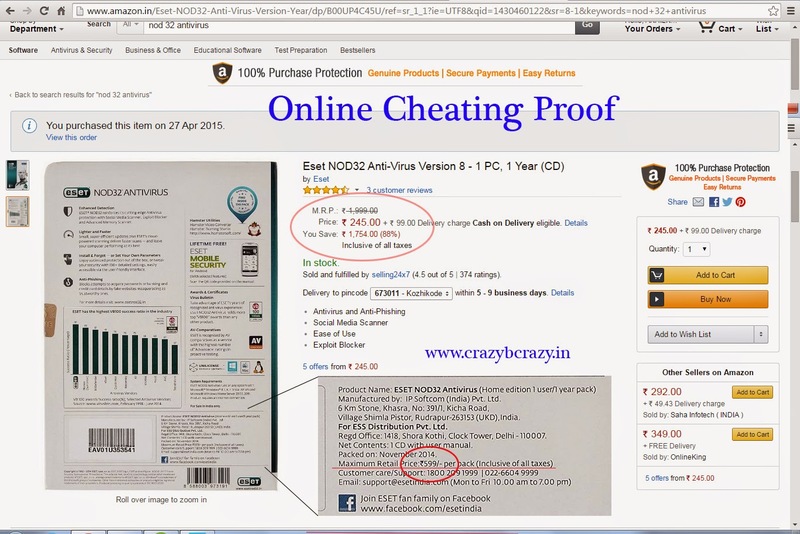 Dear readers, recently i have purchased a Nod 32 Antivirus for 1 PC 1 Year from amazon.in with 88% off. I was so surprised to get that product for that discounted price. MRP showed in amazon website is Rs.1999 and the offer price is 245 + 99(Shipping) INR. I realized the actual product cost only after ordering the product. It is just Rs. 599 and it is printed on the backside of the packet itself. They are really making people fools by increasing MRP and showing Discounts. Please be aware of this. Screenshot added for reference.